Bill asks here "What makes my utterance of 'Socrates' denote Socrates rather than someone or something else?" And I ask "What makes my utterance of 'Sherlock Holmes' refer to Holmes rather than someone or something else?" It's not simple. There actually is a person called 'Sherlock Holmes' who is a minister of the church living in Massachusetts. There is an article about him in the Sherlock Holmes society journal here. So I could use the name to refer to him, as that article does. Yet a character of the same name appears in the novel The Seven-Per-Cent Solution by Nicholas Meyer, but in this case it is made clear that the character is the same person as the one Conan Doyle wrote about. Meyer's book is an extension of the 'Holmes mythos'. 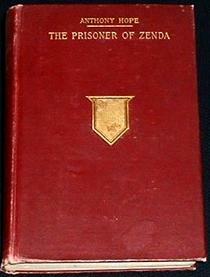 And also of the Ruritania mythos - in the book, Holmes meets Rudolf Rassendyll, hero of Prisoner of Zenda. So we can use the name of a fictional character either (i) to refer to the character in a 'textual criticism' context (ii) to write more fiction in the same genre or mythos, (iii) to refer to a real person who happens to share the same name. What a tangled net, no wonder so many clever people have been ensnared by it.